- Fixed Fire Extinguishers report saving correctly when using the Save As option. - Added Restore Default options to logo settings screens. - Updated DEICR and EICR agreed limitations boxes now print bigger. - Fixed Emergency Lighting Periodic deviations printing correctly. - Fixed distribution board schedules printing correctly in landscape mode. - Fixed importing certificates working correctly after they have been deleted within the mobile software. - Fixed disbution board dropdown being displayed off screen. - Fixed certificates saving correctly when certain characters are entered into the certificate name. - Fixed tick boxes within d.b. schedules now allowing dash selection. - Fixed Site Survey forms printing correctly for Periodic Inspection Reports. - Updated some certificate titles to allow for larger company logos. - Fixed Zs calculation working correctly on Domestic Installation Certificates. - Added Codes For Types Of Wiring chart to distribution boards. - Fixed Minor Multiple Works printing D.B. schedules correctly. - Fixed adding multiple attachments saving correctly. - Added new field to Minor Multiple Works for Zdb reading. - Fixed Minor Works certificates saving correctly when too much is entered into some fields. - Fixed print preview now correctly viewing the currently selected page. - Fixed Circuits Summary calculating circuits not tested correctly. - Added option to include attachments when making backups. - Added option to Reports Manager to quickly filter by this week/last week/this month/last month/this year/last year. - Added option to show distribution boards count at the top of the page. - Added option to show attachments count at the top of the page. - Added option to set default test voltage when adding new distribution boards. - Added option to set default test voltage when adding new circuits. - Updated DEICR and EICR Next Text Date text can now be selected from dropdown. - Updated Test Results pages to only show 1 column for RCD disconnection time. - Print Preview now displays Observations and Recommendations names. - Print Preview now displays attachments pages. - Fixed some Site Survey Forms printing correctly. - Fixed Save As working correctly for 17th Edition Minor Works certificates. - Fixed creating new certificates when using an old 17th Edition Minor Works template. - Fixed duplicate Observations and Recommendations pages being printed. - Added options to set print colours for C1, C2, C3, and N/V codes. - New support for BS 7671 2018. - Added option to convert 17th Edition certificates to 18th Edition. - Added option to convert 18th Edition certificates to 17th Edition. - Print Preview now displays distrbution board names. - Improved how attachments are stored when using a shared database server. - Improved how signatures are stored when using a shared database server. - Fixed Danger Notification Certificate customers signature printing correctly. - Added option to import shared certificates direct into a specific folder. - Fixed Save As working correctly for linked D.B.s and linked circuits. - New improved printouts for D.B. Lists to accommodate long names and locations. - New improved printing of circuit numbers within D.B. schedules. - New improved printouts for Reports Manager to accommodate long names and numbers. - New support for using HTTPS when connecting to Tysoft servers. - Updated D.B. Observations and Recommendations to group together once printed. - Fixed deleted subfolders showing correctly. - Updated Minor Works certificates to accommodate longer addresses. - Added option to have full headings with triangles on the right side for printing. - Added option to have input boxes with round edges for printing. - Fixed D.B. dropdown list showing correctly when resized on small screens. - Fixed Minor Multiple Works Certificates importing D.B.s correctly. - Fixed importing D.B.s with attachments working correctly. - Fixed importing D.B.s with observations working correctly. - Fixed Save As working correctly when D.B.s contain observations. - Fixed Save As working correctly when D.B.s contain attachments. - New support for Solar PV Installation Check List. - New support for Solar PV Client Handover Certificate. - Added option to covert Domestic Minor Works certificates to commercial certificate. - Added option to covert Commercial Minor Works certificates to domestic certificate. - Fixed certificate folders showing correctly for the Multiple Minor Works certificates. - Fixed multiple signature options showing correctly for Multiple Minor Works certificates. - New support for Inspection Schedule comment boxes now lists recently entered items. - Added edit window for Observations and Recommendations. - Fixed issues importing Multiple Minor Works certificates. - New support for BS 5839-1 2017. - New support for Minor Electrical Installation Multiple Works certificate. - Updated Circuits Summary window to show circuits test and not tested. - Fixed using templates with multiple distribution boards. - Improved performance when working with large databases. - Emergency Lighting Periodic Inspection Report updated to BS5266 2016. - Fixed Mobile Manager default Organisation, Engineer and Instrument being saved correctly. - Fixed installation address importing correctly from mobile certificates. - Fixed automatic backups working correctly with Windows Scheduled Tasks. - Added option to export PDF files direct to Google Drive. - Added option to export PDF files direct to Microsoft OneDrive. - Added option to copy the Client Address information into the Installation Address boxes. - Fixed D.B. Schedules printing with the correct custom colours. - Fixed D.B. Observations exporting and importing correctly. - Added option to Reports Manager to easily filter reports by year. - New support for Emergency Lighting Existing Site Compliance Certificate. - Added option to add an Observations and Recommendations sheet to individual distribution boards. - Emergency Lighting Completion Certificate for Small Installations updated to BS5266 2016. - Emergency Lighting Completion Certificate for Large Installations updated to BS5266 2016. - Added option to set a default certificate name when creating new certificates. - New support for Fire Detection and Alarm System Device List. - Fixed sizing issues when using large fonts/high DPI. - Added option to print Insulation Resistance readings with 4 columns. - Added option to copy and paste Address Book contacts. - Added option to copy and paste Inspection Schedules between certificates. - New support for Emergency Lighting Device List. - Improved signatures system so only the correct signature can be selected from the dropdown and printed. - Added option to import Circuit Details and Test Results from CSV files. - Added option to import Observations and Recommendations from CSV files. - Added option to set default organisation for each user. - Added option to set default engineers for each user. - Added option to set default instrument for each user. - Added security options to disable using Dropbox options. - Added security options to disable editing certificate numbers. - Added security options to disable selecting qualifying supervisor within certificates. - Fixed security options working to disable printing for certificates. - New support for Emergency Lighting Service Report. - Added support for exporting PDF files direct to Dropbox. - Updated Backups menu to show automatic backup status. - Added option to export D.B. Circuit Summary list to Excel/Word files. - Added search options when importing attachments, observations and deviations. - Fixed Observations List saving to PDF correctly. - Fixed attachments working correctly when using an apostrophe character. - Fixed importing and exporting D.B. attachments working correctly. - Added option to add photograph attachments to individual distribution boards. - Added D.B. Circuit Summary window. - Added recent file dropdown list to Attachments section. - Added option to import attachments from other certificates. - Added option to import observations and recommendations from other certificates. - Added option to import deviations from other certificates. - Added option to right-click on circuits to add a new Observation and Recommendation. - Added option to create folders within the Certificate Sharing system. - Added option to print commercial distribution boards on 2 pages. - Fixed A5 size distribution boards printing correctly. - Added Reports Manager report for printing list with Satisfactory/Unsatisfactory information. - Added Reports Manager option for filtering by Satisfactory reports only. - Added Reports Manager option for filtering by Unsatisfactory reports only. - Importing and exporting certificates now includes reminders. - Fixed toolbar icons showing correctly with high DPI. - Fixed large reports printing and saving to PDF correctly. - Added options to insert variables into certificate numbers for creating new certificates. - Added formatting options to page headers and footers. - Circuit Details and Test Results lines now automatically resize to fit large descriptions. - Distribution Board Schedule lines now automatically resize to fit large descriptions. - Added option to search certificate comments. - Updated Status Bar to show current reminders due. - Fixed crash when accessing Outlook Address book. - Added option to Import D.B. window to search existing certificates. - Added additional auto fill options when adding new distribution boards. - Fixed Address Book working correctly when using a large amount of contacts. - Fixed Copy Value Up function working correctly. - Fixed PDF tools reordering pages for large PDF files. - Font subscripts now print correctly on all certificates. - Fixed random crash on saving new certificates. - Fixed attachment preview icons showing correctly. - Observations and Recommendation lists now automatically resize to fit large descriptions. - Emergency Lighting Deviations now automatically resize to fit large descriptions. - Added option to print Observations and Recommendations lists. - Added option to filter Observations and Recommendations lists. - Added option to merge PDF files into a single document. - Added option to change the page ordering for PDF documents. - Added option to automatically fill columns with a custom entry. - Improved security options with many more restrictions now supported. - Improved printing of certificate reference when long numbers are used. - Added option to undelete certificates from the sharing system. - Fixed Site Survey Form Solar PV SSEG Installation printing correctly. - Improved Fire Extinguishers Report to support multiple pages. - Added option to convert NICEIC overprint certificates to plain paper certificates. - Reports Manager can now print simple and detailed reports. - Fixed converting domestic to commercial certificate saving all D.B.'s. - Fixed converting commercial to domestic certificate saving all D.B.'s. - Fixed client and installation addresses loading when using templates. - New support for Microsoft Windows 10. - New support for Solar PV G83/2 SSEG Installation Commissioning Confirmation. - Added option to convert Domestic certificates to Commercial certificates. - Added option to convert Commercial certificates to Domestic certificates. - Updated report view to show locked column. - Updated report view to show reminders column. - Updated report view to show attachments column. - Updated report view to allow column reordering. - Added option to sort by locked certificates. - Added option to sort by certificates with reminders. - Added option to sort by certificates with attachments. - Reports Manager now lists Client Name column. - Reports Manager now lists Installation Name column. - Reports Manager now supports column reordering. - Added options to change the default PDF file name. - Import Shared Certificates window now shows locked column. - Import Shared Certificates window now shows reminders column. - Import Shared Certificates window now shows attachments column. - Import Shared Certificates window now allows column reordering. - Added option to export lists (Circuits/Observations) to CSV files. - Added option to export lists (Circuits/Observations) to XML files. - Added option to export lists (Circuits/Observations) to HTML files. - Added option to export D.B. Manager list to file. - Added option to set comments for each certificate. - Added option to clear all Test Results from D.B.'s. - D.B. Validation window can now export results to XLS, DOC, CSV formats. - Added option to import/export dropdown lists. - Fixed Observations and Recommendations codes working correctly. - Added new postcode lookup to automate entering address information. - Added option to set circuit defaults/templates. - Added option to renumber circuits. - Added new validation window to show circuit errors and warnings when validating certificates. - Updated commercial certificates to print distribution boards on a single page. - Improved speed when importing D.B.s into existing certificates. - Improved speed when duplicating certificates. - Fixed spelling checker saving custom words correctly. - Fixed spelling check Change All working correctly. - Fixed saving reference sheets to PDF documents. - Added Not Yet Printed to default status list. - Added Not Yet E-mailed to default status list. - Recent Certificates now lists recently imported certificates also. - New support for BS7671 Amendment 3 2015. - Added new Bulk Replace options for Circuit Details and Test Results. - Improved speed when saving certificates for the first time. - Fixed support for large fonts/high DPI. - Added new Fire Extinguishers Certificate. - Added new D.B. Auto Fill options to setup circuits with defined text. - Added option to import distribution boards from any existing certificates. - Added option to right-click Inspection Schedules columns and change text case. - Added option to right-click Observations columns and auto fill. - Added option to right-click Observations columns and change text case. - Added option to right-click Deviations columns and auto fill. - Added option to right-click Deviations columns and change text case. - Added option to right-click Circuits columns and change text case. - Added option to add/insert Comment lines into Observations and Recommendations lists. - Added option to add/insert Separator lines into Observations and Recommendations lists. - Added option to add/insert Comment lines into Deviations lists. - Added option to add/insert Separator lines into Deviations lists. - Added option to rotate attachments left, right, flip and mirror. - Added option to change attachments to greyscale, negative, lighten and darken. - Added option to change attachments preview size. - Improved exporting multiple certificates at the same time, now only a single click is required. - Improved saving multiple certificates to PDF at the same time, now only a single click is required. - Improved circuit and observations lists where you can now navigate using the keyboard. - Added Synced Status column to display the status of shared certificates. - Added option to filter by Synced Status within Shared Certificates window. - Improved prompt when overwriting shared certificates. - Improved prompt when overwriting local certificates from shared. - Fixed formatting issues when editing sticky notes. - Fixed Reports Manager filtering by folders correctly. - Fixed editing reminders for existing certificates. - Certificate reminders are now automatically generated for relevant certificates. - Improved performance when adding, renaming, and moving folders. - Fixed saving Online Web Backups when connected to a shared database server. - Fixed saving automatic backups when connected to a shared database server. - Fixed Merge Database importing certificates correctly. - Added option to search certificate Inspection Schedules. - Added option to search certificate Circuit Details. - Insulation Resistance readings below 1.0 are now shown as circuit warnings. - Improved performance when clicking on Circuit Designations dropdowns. - Improved performance when clicking on Observations and Recommendations dropdowns. - New supported for Firebird SQL Server database to improve multi user support. - Added option to Copy Value Up and Copy Value Down within Inspection Schedules. - Added auto fill options to Inspection Schedules Further Investigation Required columns. - Added option to setup a custom dropdown list for Emergency Lighting Deviations. - Added option to clear D.B. connections when right-clicking on circuits. - Fixed D.B. Connections saving correctly when using the Save As options. - Fixed D.B. Connections working correctly between importing and exporting certificates. - Added option to Search certificates within Shared Certificates window. - Added option to Filter Certificates within Shared Certificates window. - Improved Shared Certificates recent certificates listing. - Fixed certificate titles printing correctly when saving to PDF. - Added option to print reminder letters to customers. - Added option to set a default Certificate Status for new certificates. - Added option to print Circuit Details and Test Result warnings in red. - Added option to print dangerous Observations and Recommendations in red. - Added option to print dangerous Inspection Schedules in red. - Added option to search certificate Observations and Recommendations. - Updated Copy D.B. option to now copy and pastes all board information. - Updated Save As option to automatically increment certificate numbers. - Improved certificate importing and exporting times. - New support for BS 7671 Amendment 2 2013. - New support for BS 5839-1 2013. - Fire Detection and Alarm System Acceptance Certificate updated. - Fire Detection and Alarm System Installation Certificate updated. - Added prompt when overwriting shared certificates. - Added prompt when overwriting local certificates. - Added option to resize attachments when using large photographs. - Added option to view a list of Certificate Reminders. - Added option to print a list of Certificate Reminders. - Added option to export list of Certificate Reminders to Excel. - Added option to export list of Certificate Reminders to Word. - Electrical Installation Condition Reports Inspection Schedules now include clause numbers. - Improved printing layout on Inspection Schedules for Electrical Installation Condition Reports. - Improved Observations and Recommendations printing on Page 2 of reports. - Electrical Installation Condition Reports Inspection Schedules now automatically add to Observations section. - New support for Emergency Lighting Periodic Inspection and Testing Certificate BS 5266-1:2011. - Reports Manager now displays Next Test Date for certificates. - Reports Manager Advanced Filter now allows for filtering by Next Test Date. - Improved PDF sizes when saving large certificates. - Added option to change the heading style printed on certificates. - Added option to change the box style printed on certificates. - Added option to change all background colours and text colours printed on certificates. - Added option to change the colour of ticks, crosses, LIM, and N/A text printed on certificates. - Added option to change all fonts used within printed certificates. - New support for Solar PV Array Test Certificate. - New support for Solar PV System Inspection Report. - New support for Solar PV System Verification Certificate. - New support for Solar PV SSEG Installation Commissioning Confirmation. - New support for Android tablets. - New support for Windows 8. - Added option to right-click on certificates and select Save As. - Added option to right-click on certificates and select Save As Electrical Install Certificate. - Added option to right-click on certificates and select Save As Electrical Installation Condition Report. - Added option to right-click on certificates and Print. - Added option to right-click on certificates and Save PDF Document. - Added option when using Save As to exclude D.B. test results. - Added option to save certificates to BMP files. - Added option to save certificates to JPG files. - Added option to save certificates to PNG files. - Added option to export all distribution boards to Excel. - Fixed bug with validating Emergency Lighting Completion Certificate For Large Installations. - Fixed Registered Organisation Logo printing correctly on Emergency Lighting Periodic. - Fixed Periodic Inspection Report overprinting D.B. pages correctly. - New support for Emergency Lighting Completion Certificate For Large Installations BS 5266-1:2011. - New support for Emergency Lighting Completion Certificate For Small Installations BS 5266-1:2011. - Added option to convert Periodic Inspection Reports to new Electrical Installation Condition Reports. - Added option to Address Book to view all addresses. - Added option to show recent certificates only in Shared Certificates window. - Added option to undelete certificates. - Added option to hide Mr and Mrs entries in Outlook address book. - Improved D.B. Connection Wizard. - Added Multifunctional serial number to Minor Works Certificate. - Fixed Minor Works Certificate validating correctly. - Fixed attachments printing correctly for Electrical Installation Condition Reports. - Domestic Visual Condition Report updated for new Observations and Recommendation codes. - Updated certificate titles to allow for large company logos. - New support for overprinting onto NICEIC IPR3 Electrical Installation Condition Report. - New support for overprinting onto NICEIC ICR3 Electrical Installation Certificate. - New support for overprinting onto NICEIC FHR5 Domestic Fire Alarm Certificate. - New support for overprinting onto NICEIC DCR6 Domestic Electrical Installation Certificate. - New support for overprinting onto NICEIC IMR3 Minor Works Certificate. - New support for overprinting onto NICEIC ICR/IPR Schedules Continuation. - New support for overprinting onto NICEIC DCQ/DPQ Schedules Continuation. - New support for overprinting onto NICEIC DMQ4 Minor Works Certificate. - New support for overprinting onto NICEIC DCQ5 Domestic Electrical Installation Certificate. - New support for overprinting onto NICEIC DPR5 Domestic Electrical Installation Condition Report. - New support for overprinting onto NICEIC DCR/DPR Schedules Continuation. - New support for overprinting onto NICEIC IER1 Summary Of The Installation Continuation. - New support for overprinting onto NICEIC IFR4 Observations Continuation. - New support for Domestic Electrical Installation Condition Report. - New support for Electrical Installation Condition Report. - Updated Maximum Zs calculations. - New support for BS 88-2 Fuses. - New support for IPhone and IPad devices. - Added option to print D.B. Lists for EIC and PIR certificates. - Added security options for setting permissions for each user. - Added option in Reports Manager to export list to Microsoft Word. - Added option to export Observations and Recommendations to Microsoft Word. - Added option to export Circuit Details and Test Results to Microsoft Word. - Added support for NICEIC Danger Notification certificate (XNN3) Certificate. - Added option to filter by Subfolders within Advanced Filter Settings window. - Added Portable Fire Extinguishers Report to Site Survey Forms section. - Fixed shared certificates system correctly importing/exporting NICEIC certificates. - Fixed problem when creating NICEIC Green Fire Alarm Inspection Serving/Reports. - Updated Address Book to group contacts better when using Mr/Mrs/Miss within the names. - Fixed signature printing correctly when overprinting Purple Domestic Fire Alarm Certificate. - Added option to convert Periodic Inspection Reports to Electrical Installation Certificates. - Added locked icon when viewing shared certificates that are locked. - Added Sort By Shared Date to shared certificates window. - Added Sort By Author to shared certificates window. - Added option for shared certificates to now include certificate attachments. - Added option to set Author Name in shared certificates window. - Added telephone number to be printed in Reports Manager for clients/installation address. - Added option in Reports Manager to filter by locked certificates. - Added option in Reports Manager to filter by certificates with reminders. - Added option in Reports Manager to filter by certificates with attachments. - Added option in Reports Manager to export list to Microsoft Excel. - Added option to export Observations and Recommendations to Microsoft Excel. - Added option to export Circuit Details and Test Results to Microsoft Excel. - Added certificate Summary dialog for managing certificate folders. - Added validation for high R1+R2/R2 values when higher than calculated Maximum Zs. - Added Equipment Register to Site Survey Forms section. - Added Repair Register to Site Survey Forms section. - Added Faulty Equipment Register to Site Survey Forms section. - Added option to merge certificate databases. - Added option to find databases on your computer or external media. - Fixed issues when saving PDF files with 64bit Windows Vista/7. - Added support for printing photograph attachments within your reports. - Added option to share certificates online for customers with multiple licenses. - Added option to set PDF permissions when saving PDF documents. - Added option to set PDF passwords when saving PDF documents. - Fixed quick lists working correctly for large lists. - Fixed importing continuation pages with Observations and Recommendations. - Fixed issue when adding continuation pages from an existing report not saving information correctly. - Improved Fire Alarm certificates to store more information on large fields. - Updated certificate number size to use larger certificate numbers if required. - Improved database performance for large reports and networked databases. - Improved certificate reminders system. - Added support for printing Electrical Danger Notification certificate onto plain paper. - Added option to print D.B. Schedules in landscape view. - Added Date Completed column to certificate reports view. - Added option to set/change Date Completed for certificates. - Added option to specify custom Type Of Wiring on Domestic Schedules. - Added option to add circuit comment lines to distribution boards. - Added option to add circuit separator lines to distribution boards. - Added support for filtering by date created within Reports Manager. - Added support for filtering by date completed within Reports Manager. - PDA: Added option to delete all certificates. - Added Reference Sheets to Site Survey Forms section. - Added Board Manager for managing all distribution boards. - Added option to edit all information on printed D.B. Schedules. - Added option create subfolders within certificate folders. - Added Quick List button for Extent, Purpose, and Limitations on certificates. - Added option to save Electrical Installation certificates as Periodic Inspection Reports. - Added option to save Reports Manager reports to PDF files. - Added option to set custom page title for General Comments Continuation page. - Improved Print Preview window. - Added option to print striped lists. - Added option to set company logo to print at top left or top right corner. - Added option to automatically backup your certificates. - Added option to select print quality when printing Site Survey Forms. - Added option to specify PDF title/author/subject and keywords when saving PDF files. - Added option to specify page range when saving to PDF. - PDA: Added new Fire Alarm Inspection and Servicing Report. - Added support for NICEIC IPR2 Periodic Inspection Report with 24 ways. - Added support for NICEIC IPN2 Periodic Inspection Report with 24 ways. - Added support for NICEIC ICR2 Electrical Installation Certificate with 24 ways. - Added support for NICEIC ICR/IPR Continuation Schedules with 24 ways. - Added support for NICEIC ICN/IPN Continuation Schedules with 24 ways. - Updated Fire Alarm certificates to latest BS 5839-1:2002+A2:2008 standards. - Added Measured Ze field to Domestic Electrical Installation Part-P Certificate. - Added option to add Continuation Pages from existing reports to certificates. - Added dropdown to Circuit Number column to easily switch between 3-phase and single phase. - NICEIC 16th Edition certificates are now hidden when creating a new certificate. - Fixed engineers signatures being imported correctly on Checking-In/Out certificates. - Online Web Backup system now backs up logo files and scanned signatures. - Added multiple signature option to Domestic Visual Condition Report. - Added multiple signature option to Minor Works Certificate. - Fixed Deviations being checked-in correctly on Emergency Lighting Completion certificates. - Added option to export Address Book contacts to a .CSV file. - Added option to import Address Book contacts to a .CSV file. - Improved Templates view now separated into certificate groups. - Continuation for General Comments now contains text formatting options. - Added option to set all items on a page to N/A. - Improved certificate Check-in time for large certificates. - Fixed Current Page being printed correctly on large reports. - Added support for printing signatures on NICEIC overprinting. - Added support for Microsoft Windows 7. - Added support for Continuation for Additional Supply page. - Added Page Sidebar feature to navigate large reports and pages. - Fixed Continuation page for Domestic Visual Condition Report printing correctly. - Fixed limitation of large certificates over 100 pages being printed. - Added support for NICEIC IPM Periodic Inspection Report with 24 ways. - Added support for NICEIC ICM/IPM Schedule of Circuit Details Continuation with 24 ways. - Added support for NICEIC ICN2 Electrical Installation Certificate with 24 ways. - Fixed printing multiple pages issue on Windows Vista. - Improved drag/drop of certificates into subfolders. - Added option to add continuation pages into individual continuation pages. - PDA: Added support for Emergency Lighting Completion certificate. - PDA: Added support for Emergency Lighting Periodic Inspection report. - Added support for Domestic Visual Condition Report to print onto plain paper. - Online Web Backup Service now available. - Added Reports View to Address Book. - Updated Recent Certificates section to correctly list this week/last weeks certificates. - Fixed problems with PDF documents saving directly over UNC paths. - Fixed & character being printed correctly for circuit descriptions. - Engineers position now gets saved when changed within certificates. - Added Basic View/Advanced Views to Reports Manager. - Added option to add a comment/description to each certificate reminder. - Added option to change to multiple sig/single signature without needing to Save As. - Added Status column to Open/Recent Certificates in Reports View. - Added option to drag and drop certificates into folders. - Added option to select multiple certificates to delete. - Added option to select multiple certificates to Check-Out. - Added option to enter Type of Wiring Other option. - Added option to Printer Settings to Reinstall PDF Printer driver. - Added option to set separate margins for portrait and landscape certificates. - PDA: Fixed bug when saving certificates with no name. - PDA: Fixed Instrument Multifunctional serial number being set correctly. - PDA: Added support for Domestic Visual Condition Report. - Added support for NICEIC DVM2 Domestic Visual Condition Report. - Added support for NICEIC FHM3 Domestic Fire Alarm Certificate. - Added support for NICEIC ICM/IPM Schedule of Circuit Details Continuation. - Added support for NICEIC IMM4 Minor Works Certificate. - Added support for NICEIC DCM4 Domestic Electrical Installation Certificate. - Added support for NICEIC DPM2 Domestic Periodic Inspection Report. - Added support for NICEIC DCM/DPM Domestic Schedule of Circuit Details Continuation. - Added option to set Polarity field to a X or LIM. - Added option to configure company logo size and position. - Added option to configure registered organisation logo size and position. - Added option to setup multiple company logos. - Added option to setup multiple registered organisation logos. - Added support for 0.2 second Maximum Zs calculations. - Fixed postcode being checked-in correctly on some certificates. - Added toolbar to circuit details and test results for common functions. - Fixed PDF printing problems on Windows Vista 64bit. - Fixed Submit Problem system working correctly with new server upgrades. - Added support for NICEIC DVP2 Domestic Visual Condition Report. - Added support for NICEIC DVN3 Domestic Visual Condition Report. - Improved PDF print quality. - Improved PDF file size once saved. - Added option to print review Reports Manager. - Added option to print preview D.B. Schedules. - Added save PDF option to print D.B. Schedules. - Added option to print in Economy Mode. - Outlook Address Book integration now lists home addresses. - Added support for NICEIC DPP2 Domestic Periodic Inspection Report. - Added CPC Wizard for calculating csa sizes. - Added Maximum Zs calculations for BS 1362. - Improved Print to D.B. Schedule Report. - Added option to print all D.B. Schedules in one go. - Fixed problems with check-in/out Domestic Visual Condition Report. - PDA: Fixed amended dates being set correctly on new certificates. - PDA: Fixed issue with storing certificates on certain memory cards. - Added option to set printer alignment for individual pages. - Added News notification system to notify about Tysoft updates. - Added support for NICEIC DCQ4 Domestic Electrical Installation Certificate. - Added support for NICEIC DSQ4 Domestic Electrical Installation Continuation Certificate. - Added support for NICEIC DMQ3 Minor Works Certificate. - Added support for NICEIC DCR5 Domestic Electrical Installation Certificate. - Added support for NICEIC DSR5 Domestic Electrical Installation Continuation Certificate. - Added support for NICEIC DPR4 Domestic Periodic Inspection Report. - Added support for NICEIC IMR2 Minor Works Certificate. - Added support for NICEIC ICR2 Electrical Installation Certificate. - Added support for NICEIC IPR2 Periodic Inspection Report. - Added support for NICEIC ICR/IPR Continuation Schedules for Installation and Periodic. - PDA: Certificate number now displayed within certificates list. - PDA: Fixed storing certificates with same certificate name. - Added Reports View for viewing certificates. - Fixed deleting circuits from Continuation Schedules for Installation and Periodic. - Fixed Registered Organisation logo tickboxes restoring their state correctly. - Fixed Domestic Periodic Inspection Report Page 3 printing correctly on older upgrades. - 16th Edition certificates will continue to calculate 16th Edition Zs values. - Added support for NICEIC DCP4 Domestic Electrical Installation Certificate. - Added support for NICEIC DSP4 Domestic Electrical Installation Continuation Certificate. - Added support for NICEIC DMP3 Minor Works Certificate. - EasyCert: Updated for 17th Edition IEE wiring regulations. - PDA: Updated for 17th Edition IEE wiring regulations. - Added support for NICEIC DCN5 Domestic Electrical Installation Certificate. - Added support for NICEIC DSN4 Domestic Electrical Installation Continuation Certificate. - Added support for NICEIC DPN4 Domestic Periodic Inspection Report. - Added support for NICEIC IMN2 Minor Works Certificate. - Added support for NICEIC ICN2 Electrical Installation Certificate. - Added support for NICEIC ICM4 Electrical Installation Certificate. - Added support for NICEIC IPN2 Periodic Inspection Report. - Added support for NICEIC IPM4 Periodic Inspection Report. - Fixed using Save As option to save certificate templates. - Setting engineer name to N/A automatically sets signed date as N/A. - Certificate number size has been increased for longer numbers. - PDA: Fixed changing board designation on continuation pages. - PDA: Automatically sets circuit details to N/A when designation set to Spare. - PDA: Improved using of templates to ensure all information is saved. - PDA: Added options to edit client/installation address books. - PDA: Fixed issues when using return key in certain text fields. - Added options to auto fill circuits with N/V. - Added options to auto fill circuits with ---. - Added options to auto fill circuits with LIM. - Added support for NICEIC XNN Electrical Danger Notification Certificate. - Added options to filter search options when finding certificates. - Fixed issue on Electrical Installation when using many continuation pages. - Added option to add custom Certificate Status entries. - Fixed printing Emergency Lighting Periodic Certificate Site Survey form. - Fixed spelling check working correctly with large sentences. - Fixed Reports Manager columns displaying text correctly. - Fixed General Comments continuation page showing correctly for red NICEIC certificates. - PDA: Fixed emailing certificates with long email addresses. - PDA: Fixed emailing certificates with no POP3 account. - PDA: Fixed renaming certificates with invalid characters. - Improved copying/pasting of circuit details and test results. - Added option to copy/paste observations list. - Fixed bug with creating new address book entries overwriting records. - Added option to attach custom files to Submit Problem Support system. - Added updated Emergency Lighting Periodic Certificate. - Added support for NICEIC DCR4 Domestic Electrical Installation Certificate. - PDA: Fixed bug when transferring client/installation address. - PDA: Fixed General Comments continuation page transferring over correctly. - Fixed bug with restoring PDA defaults. - Fixed certificate numbers automatically incrementing when used with a prefix. - Fixed signatures printing correctly on Electrical Installation Certificate Page1. - Improved spelling checking system. - Added support for NICEIC ICR/ICN Electrical Installation Certificates. - Added support for NICEIC IPR/IPN Periodic Inspection Certificates. - Added support for NICEIC IMR/IMN Minor Works Certificates. - Dates on Electrical Installation certificate can now be set to N/A. - Fixed emailing certificates where attachment name is set correctly. - Fixed error on saving PDF documents to folders that no longer exist. - Fixed saving PDA settings correctly within Settings dialog. - Increased Summary field size for Fire System Inspection and Servicing report. - Dates are no longer printed unless an engineer name is specified. - Fixed checking in/out Emergency Lighting Completion Certificate. - Fixed issues with using apostrophe character within board designation. - Added Fire Detection and Alarm System Modification Certificate. - Added option to print certificates in black and white. - Added option to search for attachments within certificates. - Added option to search for sticky notes within certificates. - Fixed error on overprinting NICEIC Green FSM certificate. - Fixed engineer names being selected on existing certificates. - Company logo can now be printed onto D.B. Schedules. - Domestic Fire Detection and Fire Alarm Certificate updated to current standards. - Domestic Electrical Installation extent field size increased for longer text. - Fixed recent menu working correctly with long certificate names. - EasyCert PDA: Fixed address book entries being saved correctly. - Added option to save Minor Works address as Installation Address in Address Book. - Searching certificates can now search using address fields. - Added option to set a custom Registered Organisation logo to be printed. - Added additional calculations to Maximum Zs list. - Added NICEIC Domestic Electrical Installation Certificate (DCR4). - Added NICEIC GREEN Fire Detection Inspection and Servicing Certificate (FSM). - Fixed PIR circuits saving correctly when the designation has been removed. - Company logo can now be printed onto certificate reports. - Company name is now printed onto D.B. Schedules. - Fixed Instrument serial number being selected on new Minor Works certificates. - Certificate numbers can now contain characters. - Added options to copy values up, left and right in circuits list. - Fixed editing custom circuits/observations list saving correctly. - Archive path now allows a network path to be used. - Improved Check-In/Out Summary continuation pages now include all text. - Added option to automatically lock certificates when printed. - Fixed Minor Works address book entry being saved correctly. - Fixed file caching on Vista when upgrading master database. - Added NICEIC GREEN Periodic Inspection Report (IPM). - Added NICEIC PURPLE Domestic Periodic Inspection Report (DPP). - Added NICEIC Domestic Visual Condition Report (DVN). - Added NICEIC Domestic Visual Condition Report Continuation Sheet (DWN). - Fixed PIR Summary Of The Inspection saving long strings correctly. - Improved printing of D.B. Schedules. - Fixed Checking-Out certificates with certain characters. - Fixed Observations on continuation pages listing correctly on PDF documents. - Fixed continuation pages showing correctly within templates. - Tick boxes now display as red when crossed to indicate error. - Added validation to make sure RCD Operating Times are entered. - Added option to lock/unlock certificates. - Fixed Reference Method displaying correct code. - Fixed installation address listed correctly in dropdown. - Added option to set advanced printer alignment settings. - Fixed columns within PIR printing correctly. - Added option to set global default departures of the installation. - Added option to set global extent of the installation. - Improved database ID generating unique certificate numbers. 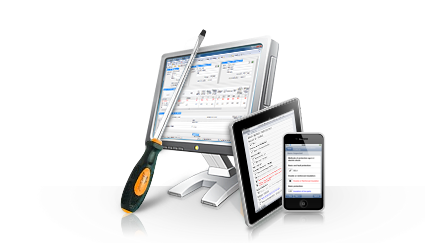 - EasyCert PDA: Fixed order of continuation pages transferring correctly. - EasyCert PDA: Characteristics of each D.B. can now be saved. - EasyCert PDA: Observations and Recommendations are now synced by default. - EasyCert PDA: Circuit Designation are now synced by default. - EasyCert PDA: Added Live Conductors for green NICEIC DPI reports. - EasyCert PDA: Added Cut/Copy/Paste to common menu. - EasyCert PDA: Added Save As feature. - EasyCert PDA: Added Undo feature to common menu. - EasyCert PDA: Fixed BS(EN) Type number being saved correctly on circuits. - Fixed continuation pages not transferring when certificate had been deleted. - Fixed test results pasting correctly on commercial certificates. - Fixed Minor Works Reference Method being selected correctly. - Fixed spelling checker working correctly for dropdown menus. - EasyCert PDA: Certificates can now be stored on other data cards. - EasyCert PDA: Continuation pages can now be used for Observations. - EasyCert PDA: Improved performance when saving certificates. - Fixed bug when automatically adding new continuation sheets for Observations. - Fixed Checking in certificates with large amounts of circuits. - Fixed emailing certificates with certain characters in the certificate name.